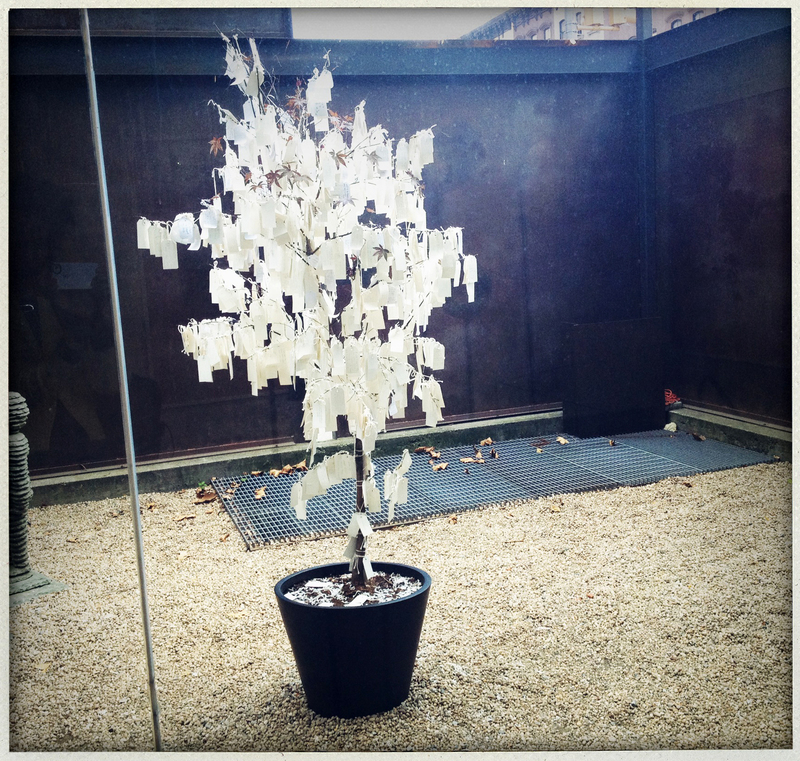 This wish tree was recently at the Jim Kempner Fine Art gallery in Chelsea. I had a couple of extra minutes before a recent shoot in Chelsea, so I wandered into Jim Kempner Fine Art Gallery and saw, in the courtyard, this Wish Tree by Yoko Ono. Of course I had to participate in the project (anything to help motivate some of my wishes into transforming from dreams into realities) so I took one of the little labels, wrote down my wish, squeezed it with my eyes closed, and then tied it to the tree. It was a really nice, contemplative thing to do before heading off to work. That particular tree is no longer in that particular courtyard, but you can add your wish to the collection by going to ImaginePeace.com. They also have instructions for building your own wish tree (do I hear weekend activity with your kids, anyone?) with templates for tags and everything else you might need. Maybe if we all wish hard enough for all the stuff we need to make a better world, it’ll come true.